Barge Board / Flat Floor Design - Page 3 - Miata Turbo Forum - Boost cars, acquire cats. This website links me to the likes of merlin Motorsports or demon tweeks to purchase . If you're looking for a simpler version of what Moti did you can run a plastic flanged washer glued to the carbon, with a button head cap screw through it. Won't be quite as low drag, but significantly simpler to assemble. Parts can come straight from McMaster-Carr. They'll also be a lot more tolerant to mistakes gluing the parts up. Woods good for splitters as an off track experience could be expensive with anything else. Barge board assemblies would seem pretty hard to damage. I'd look at carbon or S Glass with either aluminum honeycomb inside or a layer of balsa wood. McMaster also sells aluminum honeycomb with aluminum on the facing sides. Not super cheap, but could probably be assembled for $250 or so. The Dzus fastener above is pretty scary as the load is really cantilevered out there. If you can't go beyond the pinch welds McMaster (again) sells screw on nut inserts and glue on nut inserts that could probably be used just outside the pinch welds if there's a flat enough spot (or one can be made). Do you have a link or mcmaster part number? I know what you're talking about and I've seen them used on splitters before, but I've tried every search term I can think of and I've never been able to find them on mcmaster or google image search. Maybe he’s referring to these? Lots of other sizes available. What would make it expensive? 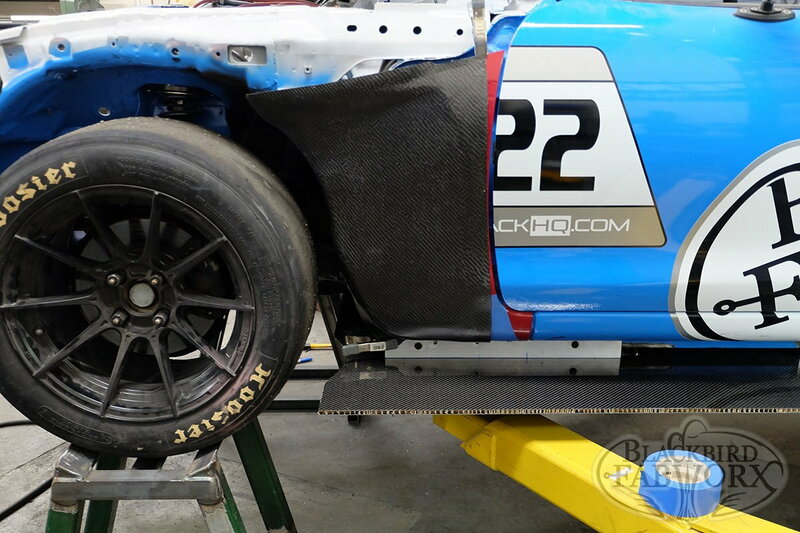 The fact that you have a very strong piece of material between two tires and bodywork? Some links to alumalite suppliers. And Pat I think now i now what you meant. Alumalite in this application is most likely cheaper than the birch we use for splitters. And then a picture of how its mounted on moti's car. Last edited by matrussell122; 10-18-2018 at 11:11 AM. Close, but those aren't even deep enough to fully cover a button head. The ones I've seen had a full-depth counterbore to use with a socket head cap screw. Downloaded the washer in question with a button head bolt and plugged into solidworks for a visual reference of how much it sticks up. The overall height of is 0.095"
Yep, I downloaded the cad and measured it too. Still not the specific product I've seen used in the past. Personally, I've used carriage bolts on all of my previous splitters and undertrays and have no intentions of changing. They have smooth, large diameter, low height heads that should have minimal effect on airflow, and there's no allen socket on the bottom side to get worn down and make disassembly a pain. I've only used them with 1/2" birch splitters so far but I bet they'd work with alumalite too if you got the hole diameter just right. Might give these elevator bolts a try on my next splitter. Yeah, just stupided on that last night. Birch should be <$100 vs something like $250 in aluminum. That said, composites or honeycomb seem like the way to go. One heads up, my understanding is that carbon generally used plastic inserts because they don’t have galvanic issues with carbon. Metal washers may not be great in that roll. I’ll add links later. Seems like a good setup for a splitter. How would you tighten then on the barge boards. What would you assembly process be since you lose access to the top side when mounting. 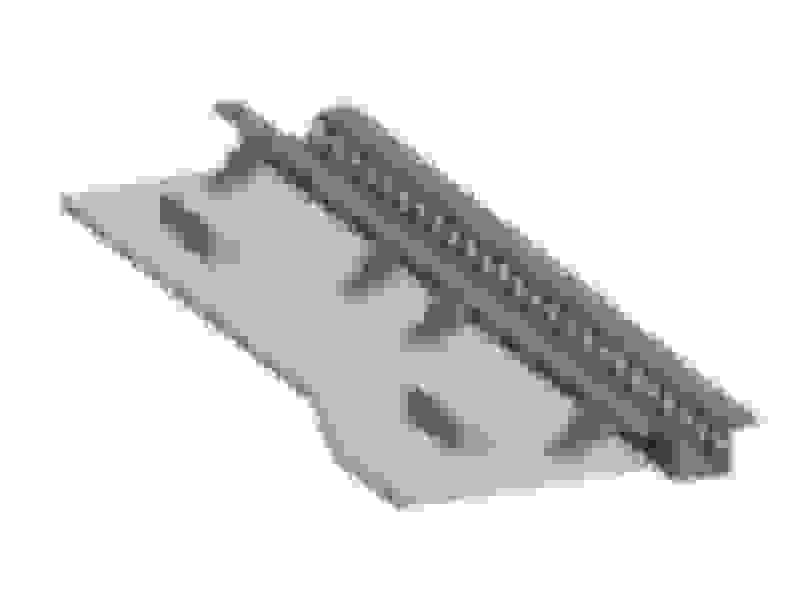 Yeah, I kinda forgot we were talking specifically about hardware for barge boards. Negcat for me. Idea: Weld or bolt a set of pins onto the outside face of the v8r/FM frame rails, with the pins pointed outward toward the pinch welds. Bolt two longitudinal (parallel to frame rail/pinch weld) pieces of angle aluminum on the top side of the barge board using your low profile aero hardware of choice. The inner piece of angle aluminum has clearance holes on the vertical leg that slide onto the pins. The outer piece of angle aluminum has clearance holes for bolts going into the pinch weld, like in the above picture of Moti's car. This way the barge boards get installed and removed with tools from the side instead of from the bottom, and you potentially don't even have to jack the car up for install/removal. Or instead of pins you could just have a couple pieces of angle welded to the frame rails that the boards just sit on top of, with a similar outer setup to moti. Stumbled across those same cup washers last night and currently working those into my design to see if its feasible. My goal is to do ZERO welding. I'm picking up alumalite tomorrow. Will be making a plywood prototype first. Nice ideas getting tossed around here! Yep, I just had that same thought while driving to lunch. Last edited by matrussell122; 10-18-2018 at 02:17 PM. The majority of force will be on the portion of the skirt outboard from the bodywork (pressure differential between top and bottom is greatest there). Therefore you need your inboard mounting points to be fixed, not just sitting on a shelf, because otherwise the outer mounting points will act as a pivot and the inner edge of the material will want to lift. Makes sense. I added some stuff to my earlier picture and replaced it. For a non-weld solution for OP that should work shouldnt it. Are you against welding because you can't, don't want to or don't want to impact the chassis.